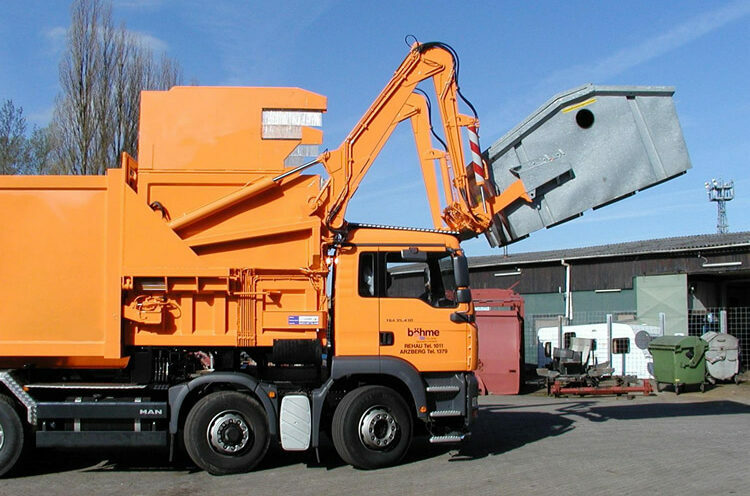 An additional product of the front loader family is the separable front loader Packer IV. This truck is distinguish themselves through a very compact construction and an high payload, in spite of the fitted lifting system for packer-container. The truck can empty all current container. The Packer IV is completely compatible integrated into the MSTS-system. To put in the truck in car parks with other separate systems also container in a horizontal position can be picked up and locked up with the fitted press by using other trucks with lifting equipment. The responsibility for the product is taking on by the company velsycon GmbH. This company is also responsible for the production and the fitting as well as for the service.